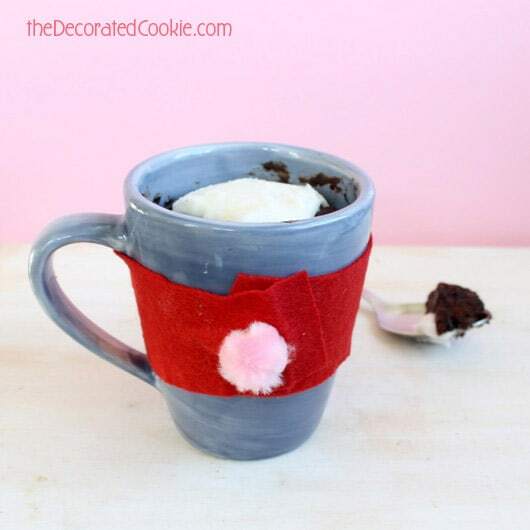 How to make a chocolate cake in a mug and a quick felt mug cozy craft. 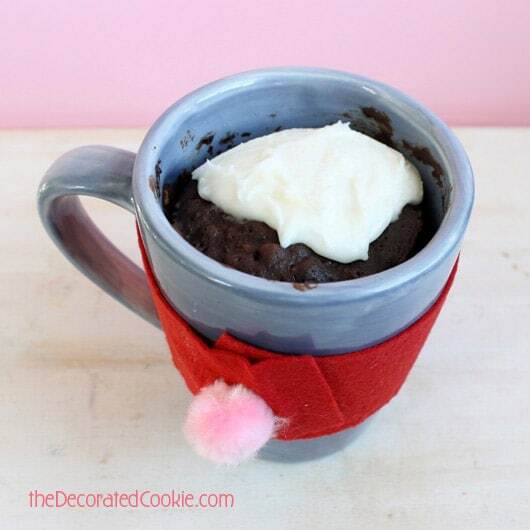 I know the internet is currently awash with microwave mug desserts. (We’re all in such a HURRY! we need dessert and we need it now. I don’t argue with that. I always act like I’m in a hurry. Even when I have no where to go.) 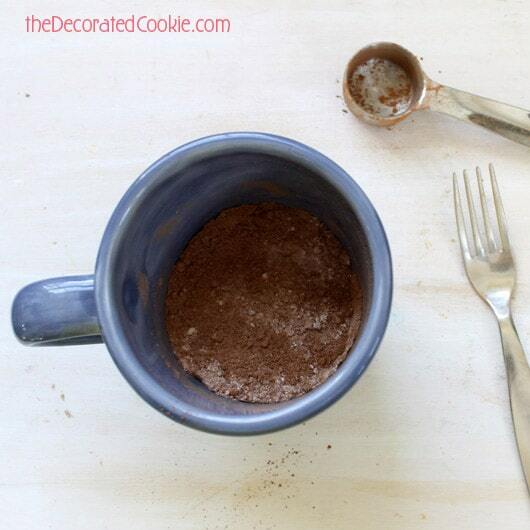 But I’ve been wanting to make a chocolate cake in a mug for ages. Specifically, since May 8, 2009, when I wrote about a mug o’ cake at my former gig. 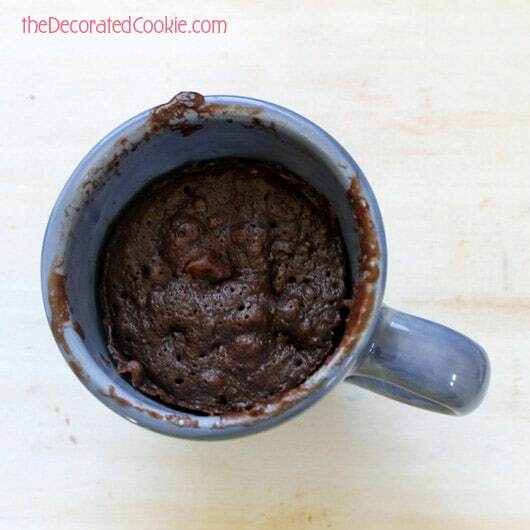 So I researched mug cakes on the internet, and I did some experimenting, and I combined the 1 billion chocolate cake in a mug recipes out there in the universe into one. (Um, you’re welcome.) And here is what I got. 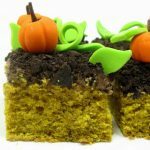 This cake is very rich, so you can certainly reduce the amount of cocoa powder if you can’t take the chocolate (also, who are you?). And one mug is more than enough to feed two, methinks. 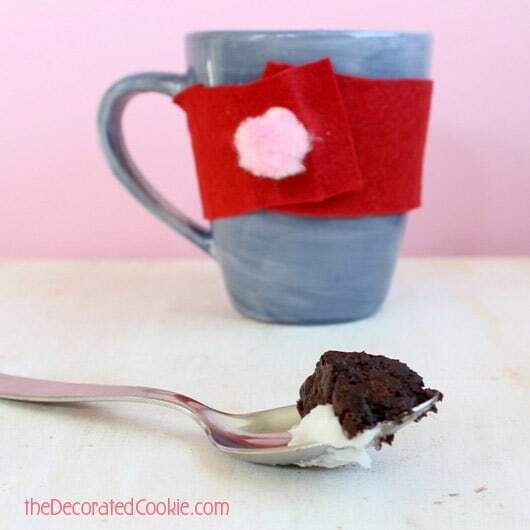 The mug was a bit warm, and since chocolate cake is on my daughter’s very short “will eat” list, I made these quick and easy mug cozies to go with them. 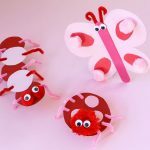 So how is that for a Valentine’s dessert for your lovey dovey? 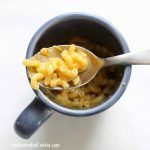 Put the first three ingredients in the mug and stir well with a fork. Mix in the egg. 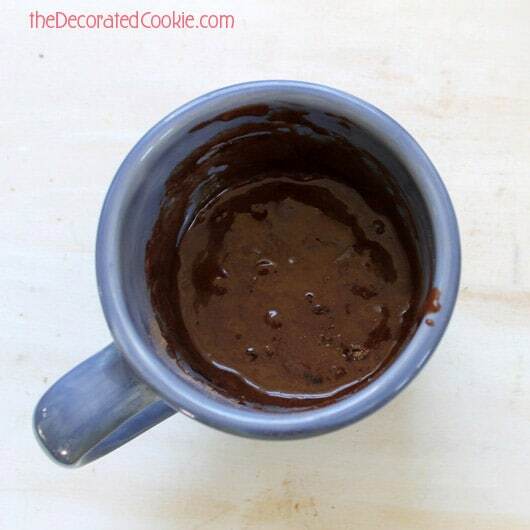 Mix in the remaining ingredients, stirring well with a fork until you have a nicely blended cake batter. If desired add a handful (about 2 tablespoons) of chocolate chips, nuts, dried fruit or whatever you want. Microwave on high for 2 1/2 to 3 minutes. Keep your eye on the mug. The batter may puff up and start to overflow. If so, just stop the microwave, let the batter settle, and continue. The cake is done with it springs back after pressing. 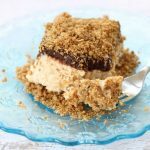 Top with store-bought frosting, chocolate syrup, powdered sugar or any of your favorite icings. For quick frosting: Whisk together 1/4 cup powdered sugar, a bit of softened butter (about 1/4 to 1/2 tablespoon) and 1 teaspoon milk. Stir in additional powdered sugar, 1 teaspoon at a time, until desired consistency is reach. 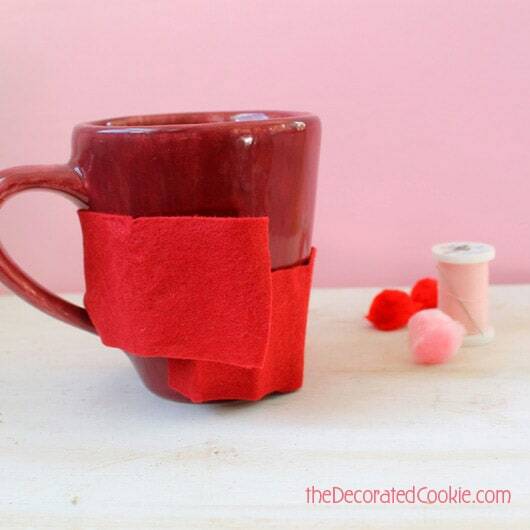 Wrap a piece of felt around the mug so it fits through the handle, and cut to leave about 2 inches overlap. 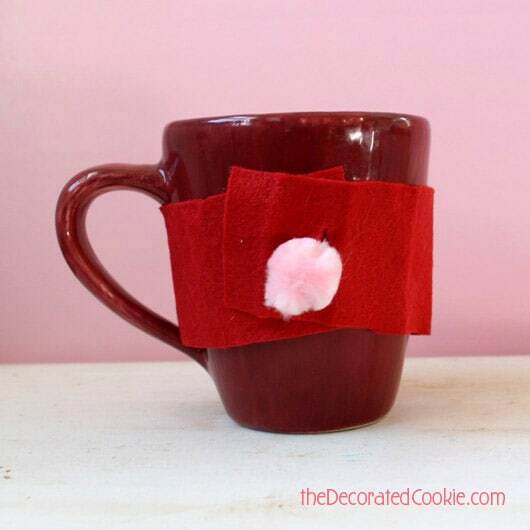 Sew the pom pom to one end, wrap tightly around the mug and cut a slit on the other end of the felt where it overlaps. Insert the pom pom through the slit to hold onto the mug.